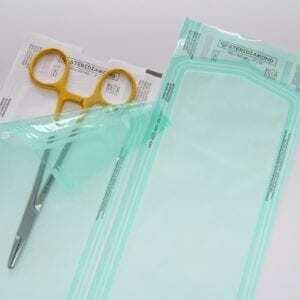 Package of 100 gusseted sterilization pouches for the sterilization of your voluminous (surgical) instruments. One side laminate, one side of paper. Available from stock in different sizes (choose the desired size above). 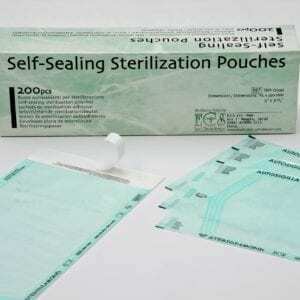 These gusseted sterilization pouches are provided with a fold, making it possible to sterilize larger objects. The pouches are provided with a fold, which creates extra space in the height, this is also known as gusseted sterilization pouches. 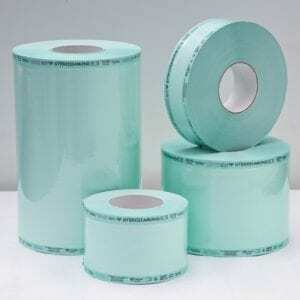 The sterilization bags are made of transparent green foil so that the contents of the bags are clearly visible and high-quality medical paper of 60 g / m². The laminate bags are moisture-resistant and made with 100% pure pulp. The 3-fold seal edge and space between the sealing edges ensure perfect adhesion during the sterilization process and a guarantee for a perfect opening. The pouches are specifically designed for steam, EO and formaldehyde sterilization and form a reliable barrier against bacteria. Of course, each pouch is equipped with validated steam and EO process indicators for checking for sterility. Optionally, these pouches are also available with formaldehyde process indicators (contact us for prices and options). Steam indicator: changes colour from purple to brown. EO indicator changes colour from blue to brown. Optional formaldehyde indicator changes colour from red to green. The text on the pouches such as the LOT number and instructions for the indicators are water-based and non-toxic. Any instrument contamination will therefore be prevented. 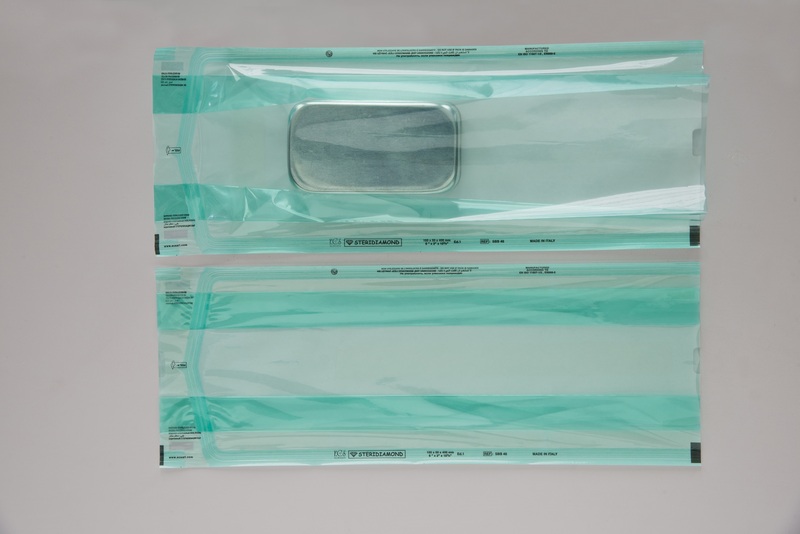 These pouches are produced within the EU and comply with the applicable international standards for sterilization bags such as EN-868, ISO 11607 and ISO 11140. The gusseted pouches are well packaged in plastic bags so that they are well protected against dirt and dust after opening the box. The gusseted pouches are packed per 100 pieces in a cardboard box and provided with a label with additional information about the specific batch. These bags are suitable for all common seal machines. We have these pouches available from stock. Contact us for different sizes and specific requirements.